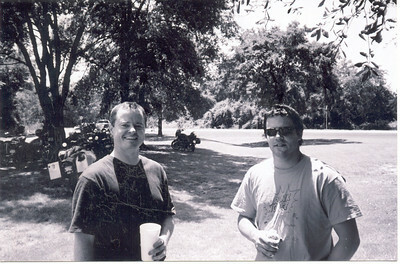 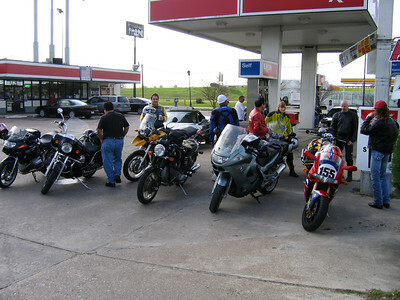 Pictures from Sunday rides I went on with friends in Houston when I lived there from '03 to '05. 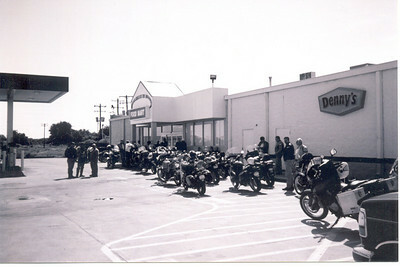 We normally met every Sunday for a ride of 200 - 300 miles of back roads. 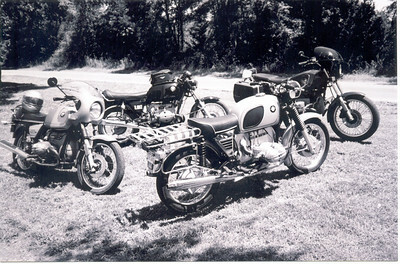 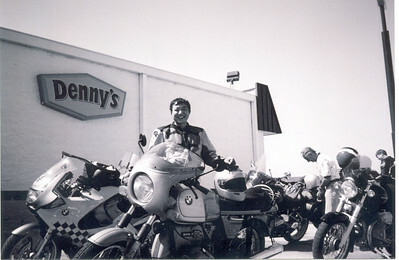 Fai's R90S, Jesse's R80/7, Randy's R75/5, John's R80ST at Yankee's Tavern after Sunday ride through the back roads northwest of Houston. 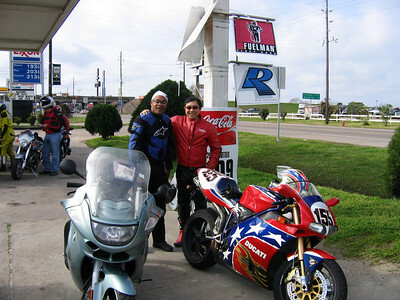 Mike and Mike, both riding R1100S's.......erie!!! 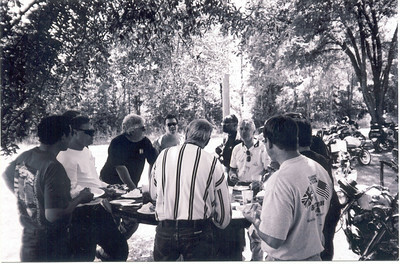 Lunch is on at Yankee's tavern. 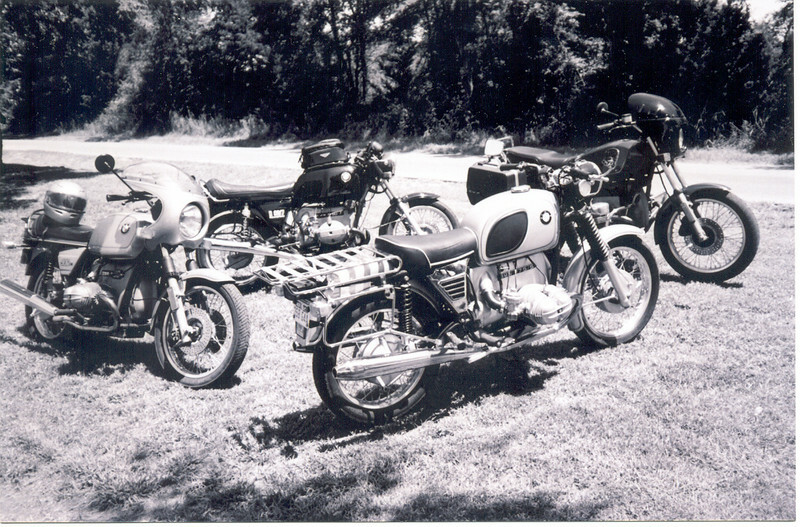 We had quite a few bikes on this ride I lead. 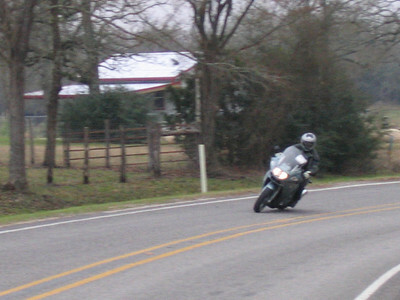 Ray on his K1200GT on FM3090, one of the best roads in the Houston area. 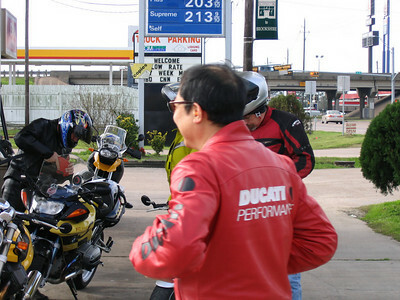 Fai's Ducati was the only bike on this ride who's crankshaft points the wrong way!